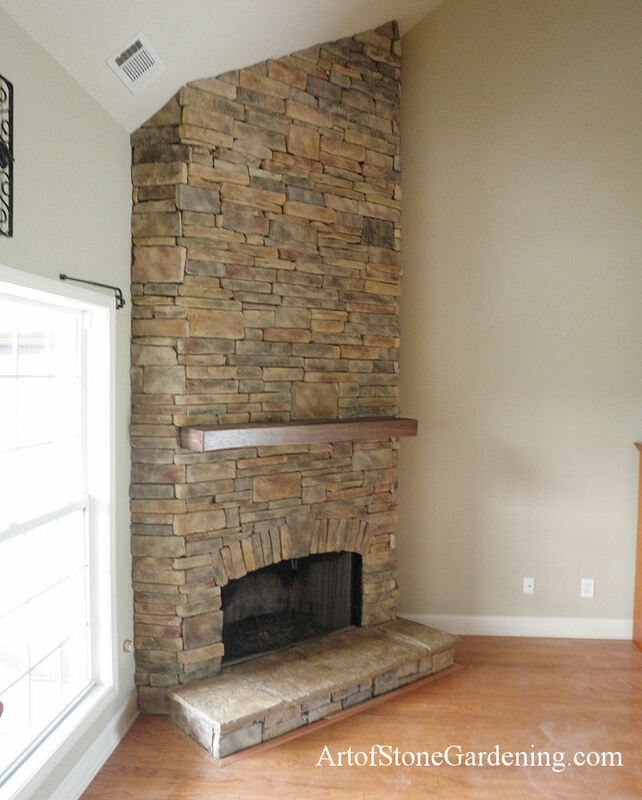 This corner fireplace fits in perfectly with the vaulted ceiling. It features a arched opening and slightly raised hearth. The vaulted design adds an interesting focal point to the living room.